One Family Health Facebook Page has just been started! Please take your time and visit it, like it and share it! 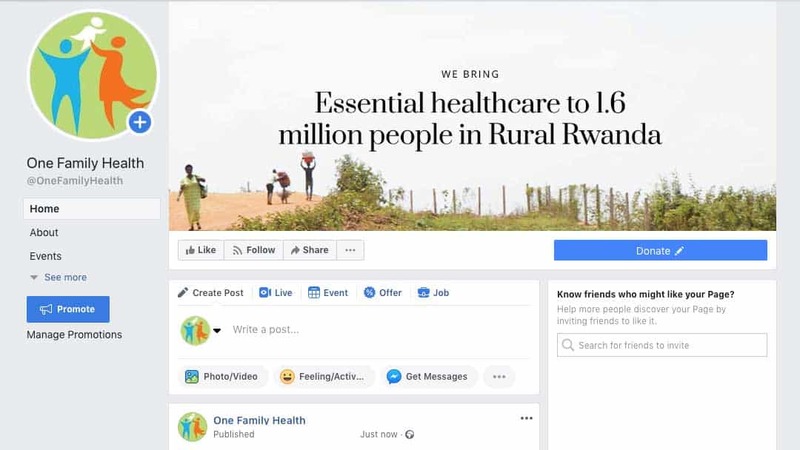 Including One Family Health into the social media world is the next step towards reaching and connecting with more people from all around the world. We are determined on creating consciousness about our organization and the impact of what we do. Help us by simply sharing our page with all your friends and family! We will be sharing posts throughout the time so that everybody that follows us can stay connected and know about our progress. We want to make an impact and spread awareness, and we will achieve this goal with Facebook being one of the biggest social media platforms in the world. Connect with us, share with your family and friends, communicate with other people who share our vision and objectives and in case you can donate through our website! Together we will help provide to the rural people of Rwanda the health services they deserve.